Final standings for our 2nd Scratch Tournament (Oct 22) and JG Qualifier have been posted on our tournament page. Congratulations to Michael Gredler, Joshua Walker, and Shyanne Ciesiolka for earning thier sport at this seasons Junior Gold Tournament in Dallas, TX. We distributed $846 in prizes and scholarships out to the winners during this squad. Save the date for the next one at Killeen Bowlerama on November 18th! We also posted the current standings for the Open Tournament after the first team squad. Check out our Tournament Page for the current leaders. Thank you to everyone that showed up at the Scratch Tournament today at Spare Time, Temple. We filled all 16 lanes, and had a great showing for our first Junior Gold qualifier. We are excited to be sending three youth from the tournament up to Dallas this coming summer. Unofficial Standing sheets are available under the Tournament page. We already have Christmas Banquet Tickets out on the floor for sale. The following Board members currently have tickets for sale! Tickets are $15 for adults and $12 for youth 18 years of age and under. The squad verification will be out to the centers in the next few days. I have just posted it on the website. Please click Tournaments on the menu above. We are excited to have 31 teams bowling in this tournament, it is going to be a good one! See you on the lanes. We just received confirmation that the Junior Gold Qualifiers have been approved to run in conjunction with our Scratch Tournaments on October 22nd at Spare Time Texas – Temple and November 18th at Killeen Bowlerama. Please share these events with our local youth bowlers and any bowlers outside of GKFHUSBC that are interested in participating. Just a reminder that the first scratch tournament of the season is October 7th. Please keep in mind that this tournament is open to all bowlers that are current with USBC. See you at Phantom Warrior Lanes! Squad starts at 1 pm. 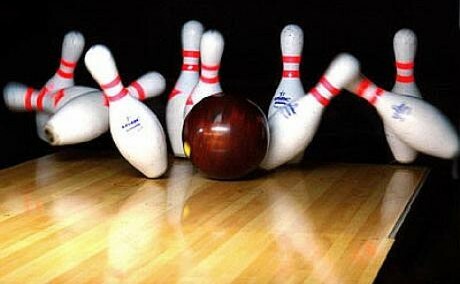 All bowlers must be checked in 15 minutes prior to squad start time.